Navigating the trains to the mountains is easy. 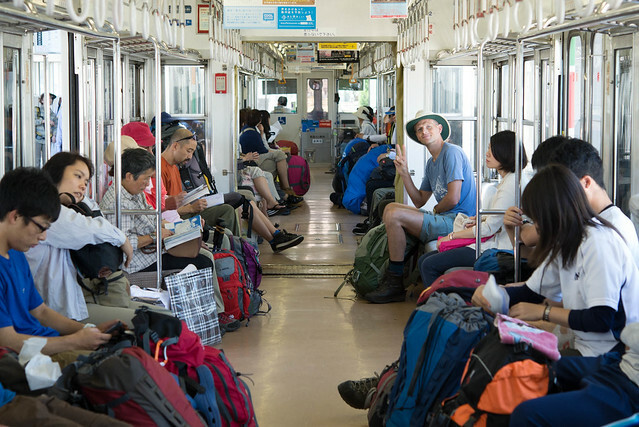 You know you are going the right way when you find the rail carriage in which almost everyone has a rucksack. 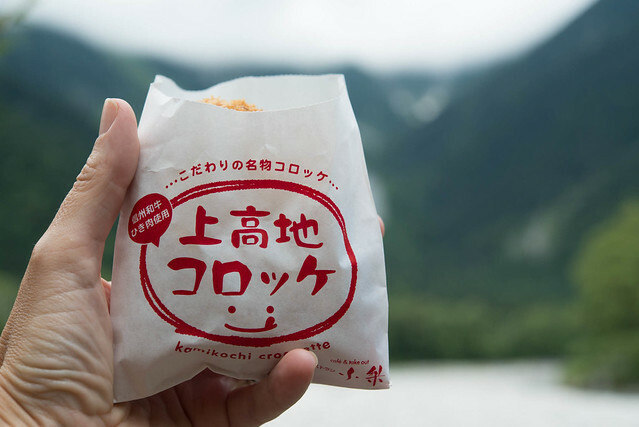 A last decent meal of a delicious Kamkikochi croc is a necessity for all mountain bound rucksack bearers. 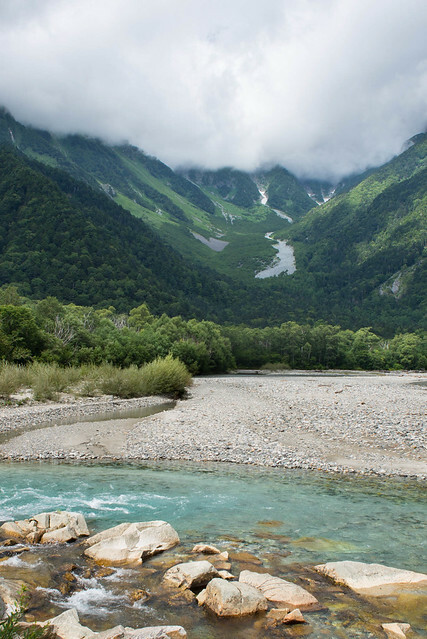 The view at Kamikochi is always nice, but while James (who is a climate scientist so surely ought to know!?) 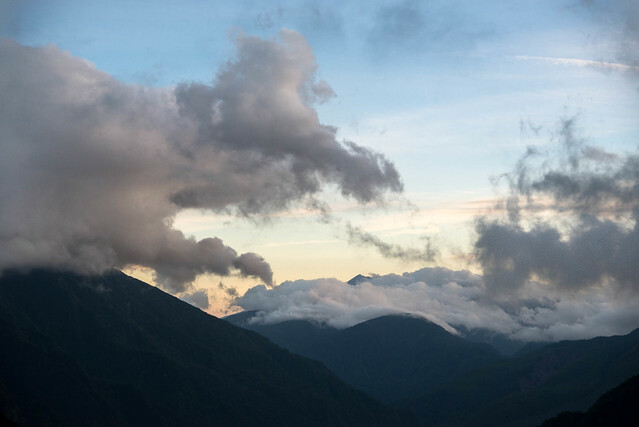 had promised a week of sunshine, the 3000m ridge was hidden by wet looking cloud. This smaller hill, slightly removed from the main ridge, was clear. Perhaps all was not lost. Around one side of the nature walk at Kamkikochi, the surface is soft and boggy. 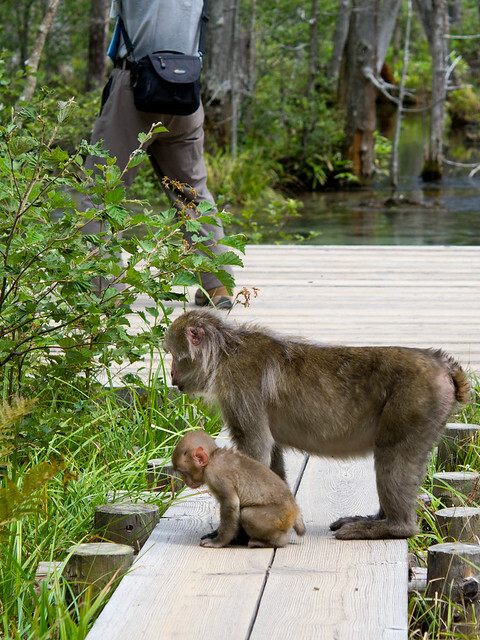 The boardwalks make access to the mud, bog plants and tree climbing fun easy for the monkeys (Japanese macaque, Macaca fuscata). 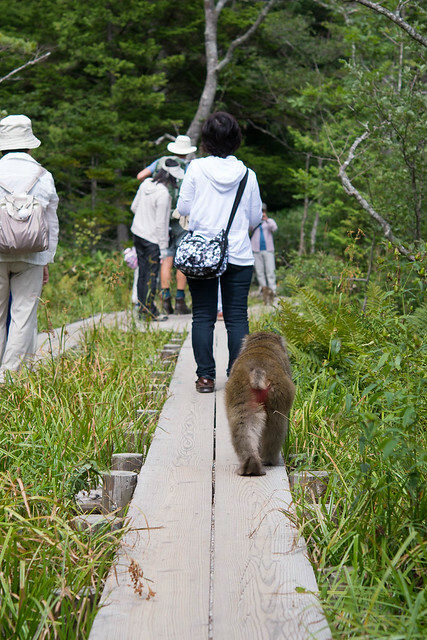 People and monkeys share the boardwalk harmoniously. 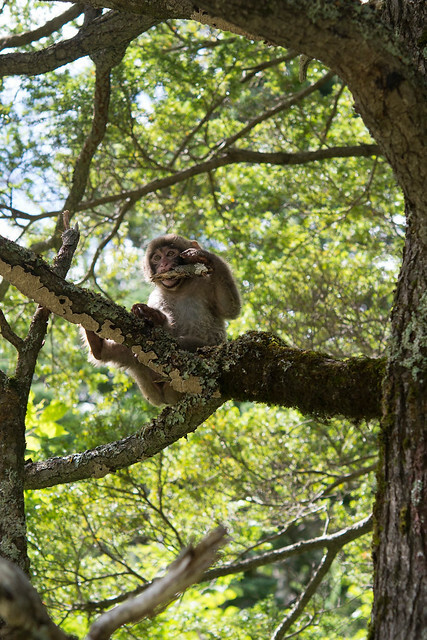 According to some literature we saw, it is seen a a problem that the monkeys have lost their fear of people. I can't see why. I think it is a testament to the consistent respectful nature of the Japanese citizen. 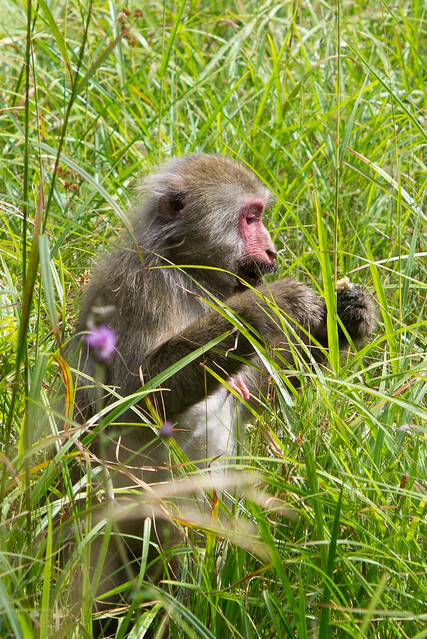 No one tries to touch, scare, tease or feed the monkeys. People just take photos of them. No wonder the monkeys have no fear - they have nothing to fear! 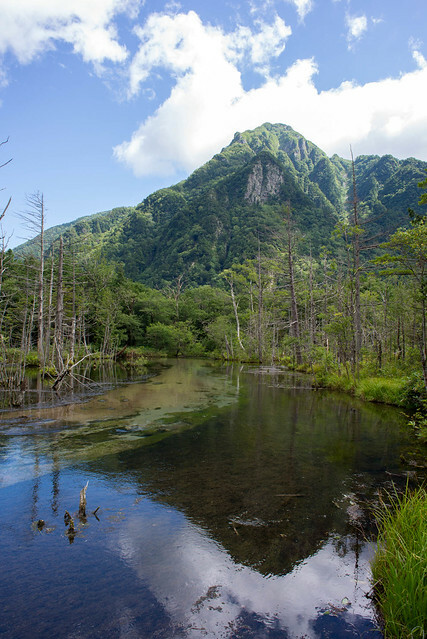 Halfway round the nature trail we veered up the mountains, leaving the Kamikochi day-trippers behind. Rucksacks only from here on. Isn't there a typhoon there? Nothing too exciting here, just a generous helping of wind and rain. But it's certainly best enjoyed from indoors. Still lots of big waves at the beach after it passed by. Not so old! it was only end of August.